On the motion of the Constitutional Committee, the second reading of the Bill on Amendments to the Political Parties Act (304 SE), initiated by the same Committee, was concluded. The aim of the Bill is to organise the technical provisions relating to the financing of political parties which serve as the basis for submitting uniform and clear reporting by political parties. The amendments bring the accounting terms and principles used in the Political Parties Act into conformity with the general financial accounting terminology and principles, and provide a uniform web-based form for reporting which, among other things, will also reduce the administrative burden related to the reporting. The Bill was sent to the third reading. 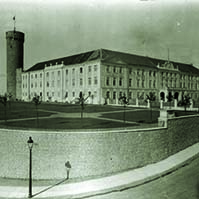 On the motion of the National Defence Committee, the first reading of the Draft Resolution “Use of the Defence Forces in the Performance of the International Duties of the Estonian State in the Composition of the Standing NATO Maritime Group” (377 OE), submitted by the same Committee, was concluded. The Draft Resolution allows the use of up to 15 members of the Defence Forces in the composition of the Standing NATO Maritime Group SNMG1 in 2013. The members of the Estonian Defence Forces participate in operations on warships belonging to the Federal Republic of Germany. The tasks of the members of the Estonian Defence Forces include, in addition to ordinary team activities involved in navigation, the ensurance of security of ships pursuant to the international mandate of the operations Ocean Shield and Active Endeavour in order to identify ships engaging in piracy. The Draft Resolution was sent to the second reading. On the motion of the Constitutional Committee, the first reading of the Draft Resolution on amendment of the Resolution on formation of the Select Committee on the Application of the Anti-corruption Act (370 OE), submitted by the Pro Patria and Res Publica Union Faction, was concluded. According to the Draft Resolution, Liisa-Ly Pakosta is appointed a member of the Select Committee on the Application of the Anti-corruption Act instead of Erki Nool. The change is made in connection with Erki Nool leaving the committee and assuming the office of the Chairman of the Environment Committee. The Draft Resolution was sent to the second reading. On the motion of the Cultural Affairs Committee, the first reading of the Bill on Amendments to the Private Schools Act (343 SE), initiated by the same Committee, was concluded. The initiation of the Bill was motivated by the proposal of the Chancellor of Justice to bring this Act into conformity with the Constitution. 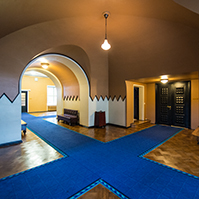 According to the proposal of the Chancellor of Justice, subsection 15 (1) of the Private Schools Act is in conflict with the Constitution insofar as it allows instruction to be provided in another language, instead of the instruction in Estonian, at a private school under public authority without prior verification whether the state has guaranteed everyone’s right to receive instruction in Estonian in providing education in a foreign language. 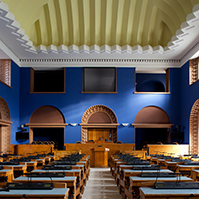 The Social Democratic Party Faction and the Estonian Centre Party Faction moved to reject the Bill at the first reading. The motion was not supported. The result of voting: 31 votes in favour, 50 against. The Bill was sent to the second reading. 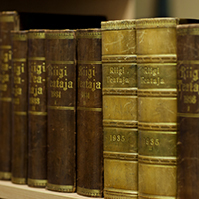 On the motion of the Constitutional Committee, the first reading of the Draft Resolution “Formation of the Riigikogu Committee of Investigation to Ascertain the Circumstances of the Proceeding and Satisfaction of the Claims Collected to the VEB Fund” (368 OE), submitted by Rainer Vakra, Lembit Kaljuvee, Deniss Boroditš, Kalle Laanet and four factions of the Riigikogu, was concluded. 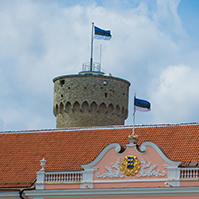 The Draft Resolution provides the formation of the Riigikogu committee of investigation to ascertain the acts relating to the VEB Fund. According to the Draft Resolution, Andres Anvelt, Aivar Riisalu, Väino Linde, Marko Pomerants and Rainer Vakra will be members of the committee, and Neeme Suur, Heimar Lenk, Kalle Jents, Priit Sibul and Deniss Boroditš will be alternate members. The task of the committee will be to ascertain the circumstances relating to the formation, the organisation of the work, and the management of the national VEB Fund, and acts performed during the period 1993‒2012. The Draft Resolution was sent to the second reading. On the motion of the Finance Committee, the Bill on Amendments to § 11 of the Fiscal Marking of Liquid Fuel Act (333 SE), initiated by the Social Democratic Party Faction, was rejected at the first reading. 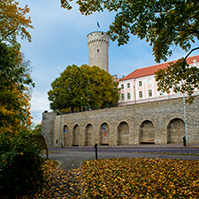 43 members of the Riigikogu voted in favour of the motion to reject and 31 members voted against. The Bill was dropped from the legislative proceeding. The deliberation of the Draft Resolution on removal of a member and appointment of a new member of the Council of the Stabilisation Reserve Fund (371 OE) was transferred to the agenda of the plenary sitting of the next working week.